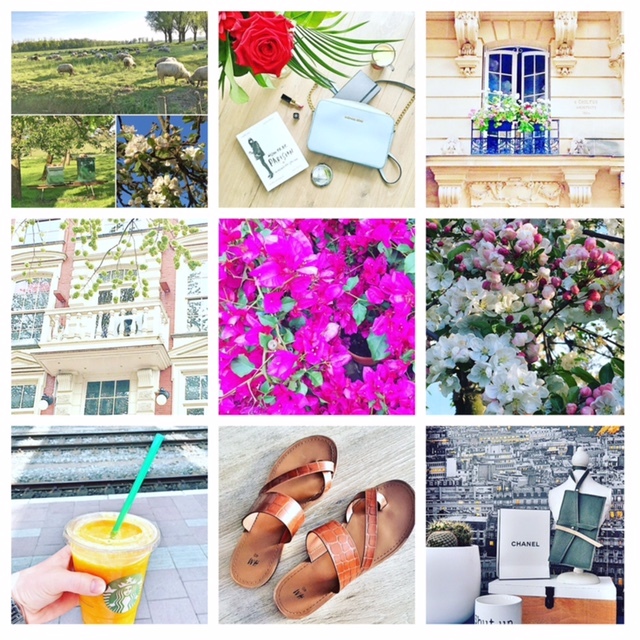 Welcome to a new edition of Instagram Photo Diary May! How does my life looked like besides working and blogging this month? 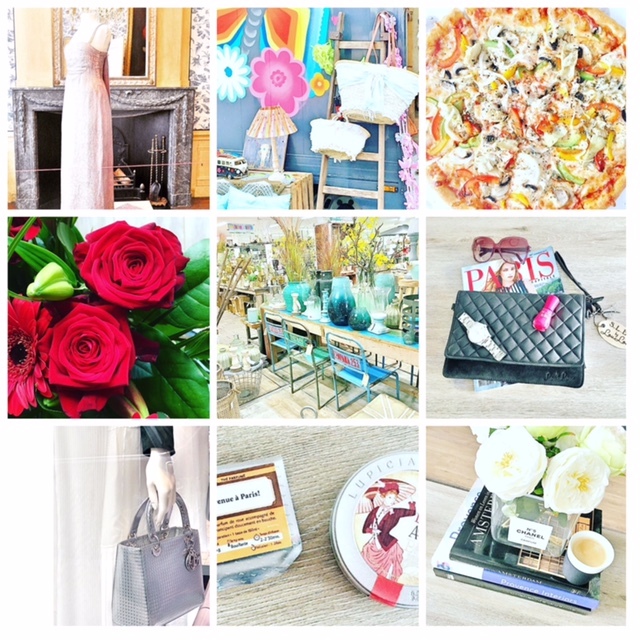 On Instagram I share my favorite places, home inspiration, fashion inspiration, nature, everything what inspires me! ✒ At the beginning of May, the sun was shining, the temperatures were higher, so we made a beautiful bikeride ✒ How to Be Parisian is one of my favorite books at the moment! I love to read about the Parisian lessons! ✒ Parisian balconies, I can’t get enough of them! ✒ And that’s the same with balconies in Amsterdam, I just love them! ✒ Bougainvillea, one of my favorite flowers, it gives me a Summer feeling! (and I am longing for Summer!) ✒ Detail of the blossom trees ✒ I discovered the mango passion juice at Starbucks ✒ My new H&M sandals, do you like them? ✒ A detail of my work place. I love the Parisian wallpaper! ✒ Wonderful dress when I visited the Van Loon Museum with the exhibition of wonderful dresses of this fashionable family ✒ I also visited an Ibiza market, but it was a real disappointment ✒ Pizza! ✒ Red roses, I love to make pictures of flowers ✒ Interior inspiration at the garden center. I love to go there to get some new ideas for our new living room! ✒ Paris essentials with my new byLouLou clutch ✒ An awesome Dior bag, I am dreaming :)✒ Lupicia Tea, I bought this in Rue Bonaparte in Paris. It tastes very good. The next time I will buy more tea at this lovely shop ✒ Detail of the table in our living room. A book about Provence Interiors, Living in Amsterdam and Chanel, the Legend with a DIY Chanel vase and white roses. Heerlijke momenten weer. Je samdaaltjes zijn geweldig! Love them. dank je Marije. En ze lopen heerlijk! Mooie foto’s, kleurrijk en inspirerend! 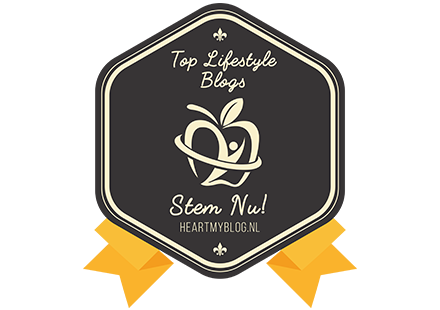 Leuke foto’s, en wat heb je ook een leuke blog! Mmm die Mango Passion van Starbucks! Ik was er ook heel laat achter gekomen, maar vind ze erg lekker. Je nieuwe teenslippertjes zijn inderdaad erg leuk. Dank je Shannon! De slippertjes lopen heerlijk! En zo makkelijk te combineren. Soo many beautiful flowers! I also now really want pizza. Doom. 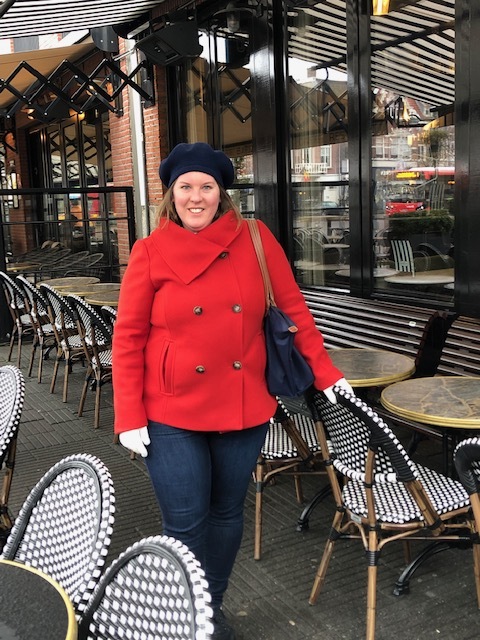 sunny mama recently posted…ALTIJD SCHONE HANDEN ONDERWEG EN OP VAKANTIE? – DOE DÍT! Ze lopen echt heerlijk Sunny! Ik word altijd heel vrolijk van jouw foto’s! Jammer dat de Ibiza market tegenviel. Wat lief! Dank je wel!